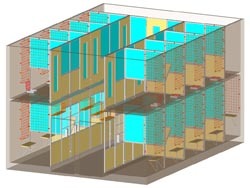 Housing of primates is subject to specific needs, especially the ingenuity of the animals demands extra attention while designing their housing arrangements. Also the specific needs of each customer have to be considered. 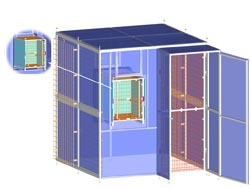 Within UNO it is therefore that primate cages are always custom made. Please see some examples of our previous works. 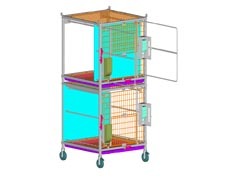 Polycarbonate cage with built-in transport box.